Japanese pro drifter and former D1 Grand Prix Champion Daigo Saito is the first known man to transplant (and race!) the famed 2JZ straight-six engine into the body of a brand-new A90 Toyota Supra. 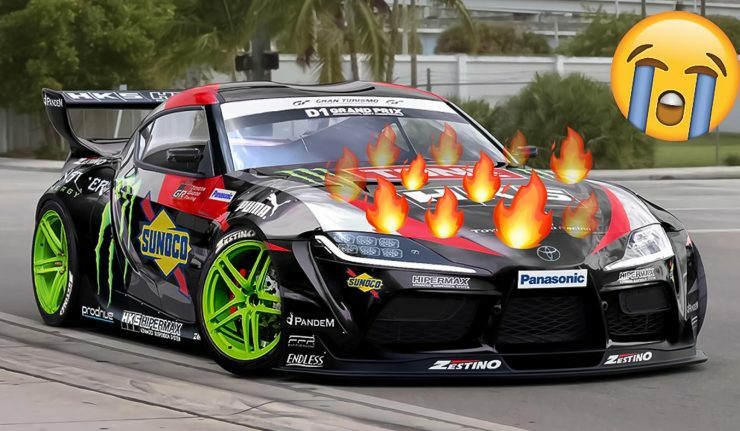 The completed car participated in the Monster Energy presents D1GP All Star Shoot-out in Odaiba, Japan but unfortunately, things did not go all that well for Saito and the Supra. Midway through a drift, a ball of flame burst from the engine bay which led us to believe that the Supra suffered an engine blow. Fortunately, this being a race car, safety measures (emergency kill switch, ignition cut off, fire extinguisher) are in check to keep the driver safe. Fortunately, Saito came out unscathed but did not elaborate on the incident at the time of writing. 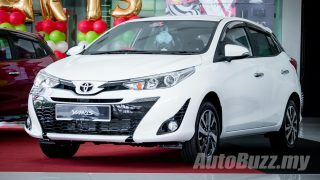 The 2JZ straight-six engine was done up by HKS and stroked to 3.3-litres in capacity (originally 3.0-litre) with forged internals and boosted to 800 hp. The team put together the build in a mere and impressive 42 days which includes the Pandem widebody kit, rear wing, wheels, brakes and set up.